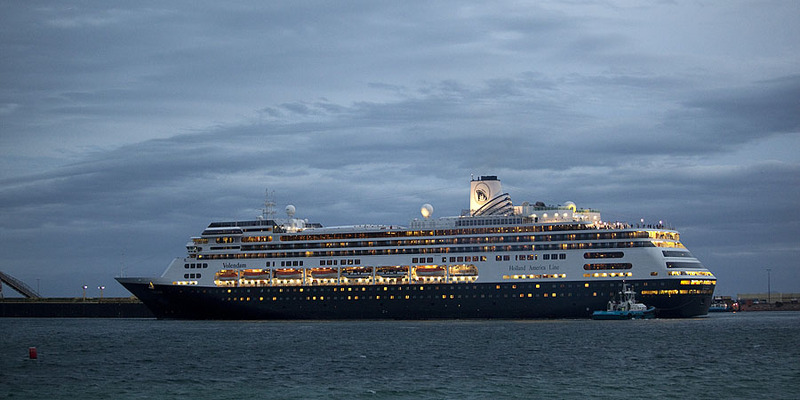 Passenger Ship - "ms Volendam"
This ship arrived in Esperance at 8am and is seen here departing at 6pm. We met some of the passengers whilst having morning tea in town who were from Canada. The informed us there was 1400 passengers and 700 crew on the cruise. It was quite a spectacle watching its departure as it set sail for Albany.